The Celtics are currently the hottest team in the East and tied for the final playoff spot. Two new players are largely responsible. One is Isaiah Thomas, which was to be expected. The other is Jonas Jerebko. Acquired in an afterthought trade (along with Luigi Datome) with the Detroit Pistons for Tayshaun Prince, Jerebko is suddenly the C's go-to big man in crunch time. He played the entire fourth quarter in each of Boston's recent wins over New York and Charlotte. In 21 minutes against the Knicks, Jerebko scored 20 points and grabbed 5 rebounds. He followed that up with 16 points and 10 boards in 24 minutes vs. the Hornets. 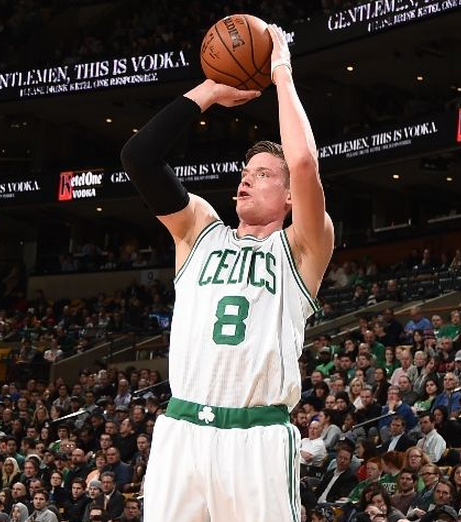 In the two games combined, Jerebko shot 70 percent (7-for-10) from three-point land. Why am I watching LeBron James Jr. highlights?